We woke up at 5.00am in the morning. 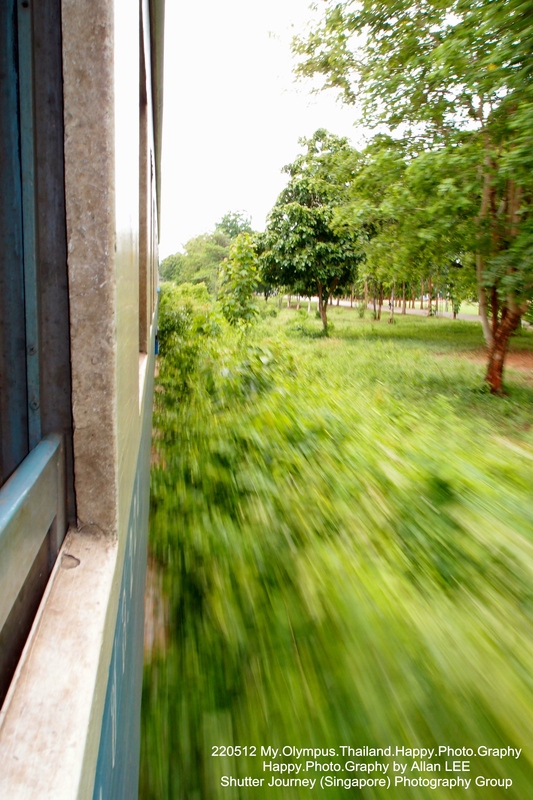 We were going out of Bangkok to Kanchanaburi, another province about 3 hours away from Bangkok. 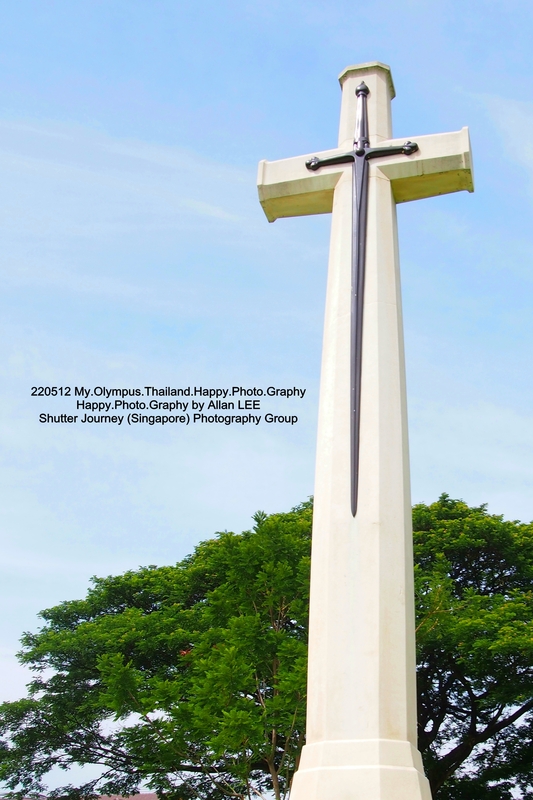 As part of the route to Kanchanaburi passes the Kanchanaburi War Cemetery, we decided to stop and pay our respects to the men & women that fought the world war between years 1939 to 1945. It’s a peaceful and beautiful garden. 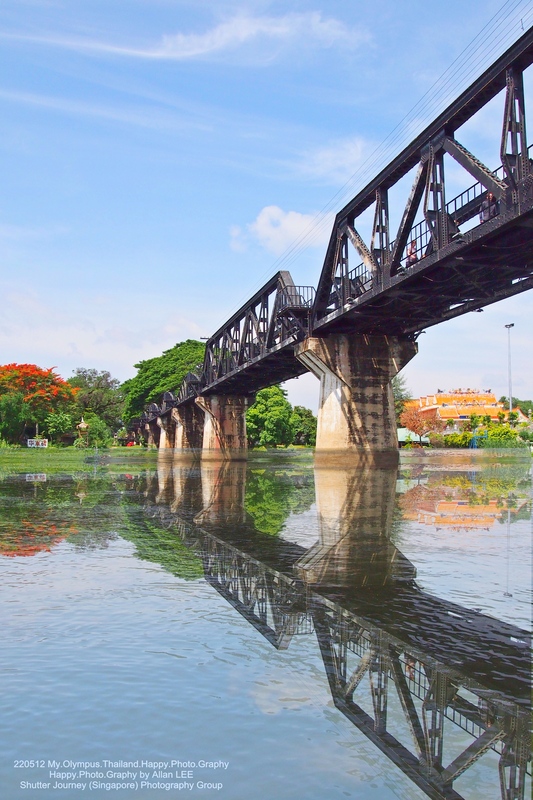 Leaving the cemetery, we made our way to River Kwai. 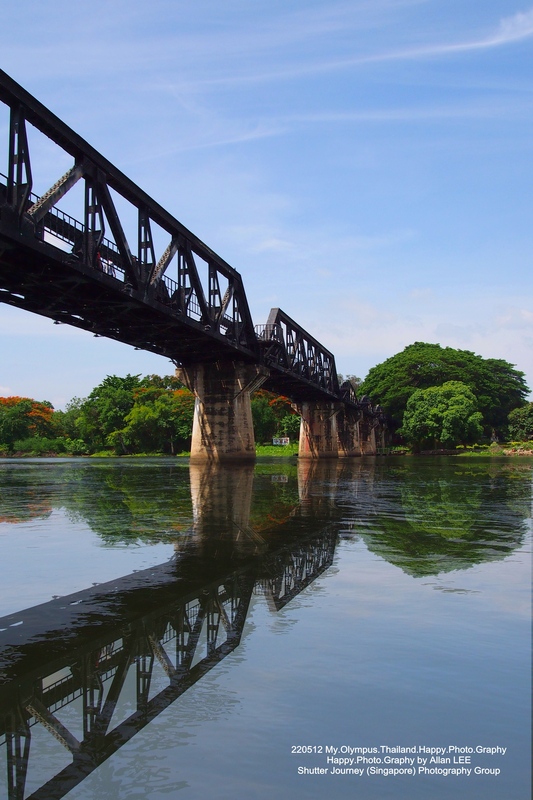 To make the trip interesting, we will cruise up on River Kwai to the main Rail Bridge aka the Death Railway by motor boat. 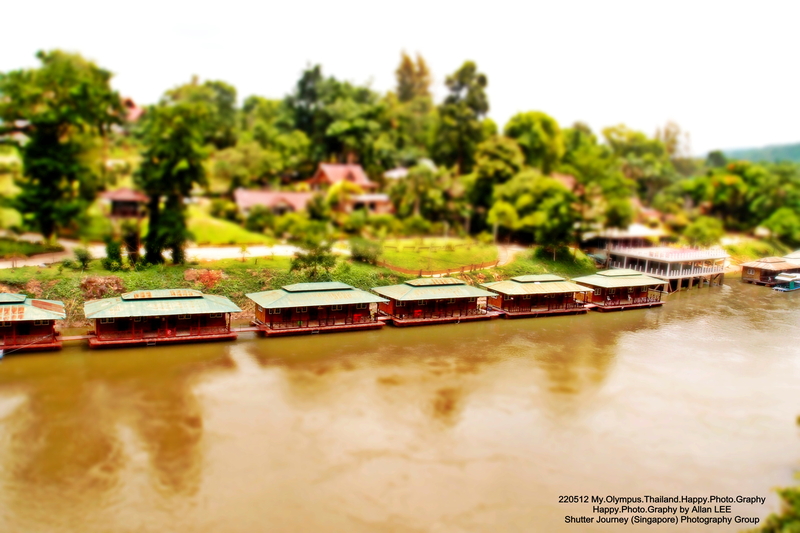 The river cruise boats are situated at JEATH Museum 20 minutes away from the cemetery. 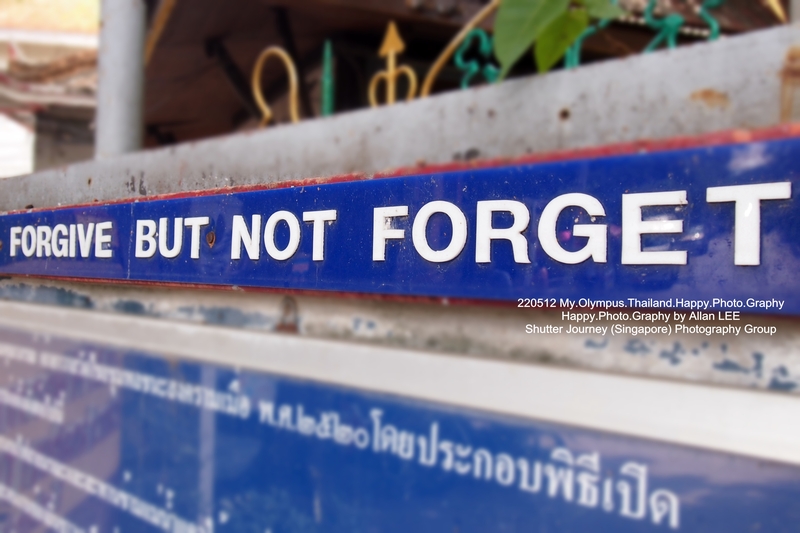 JEATH replaced the word DEATH and it represents the countries that fought in this part of Asia between 1939-1945. JEATH is Japan, England, Australia, America, Thailand & Holland. 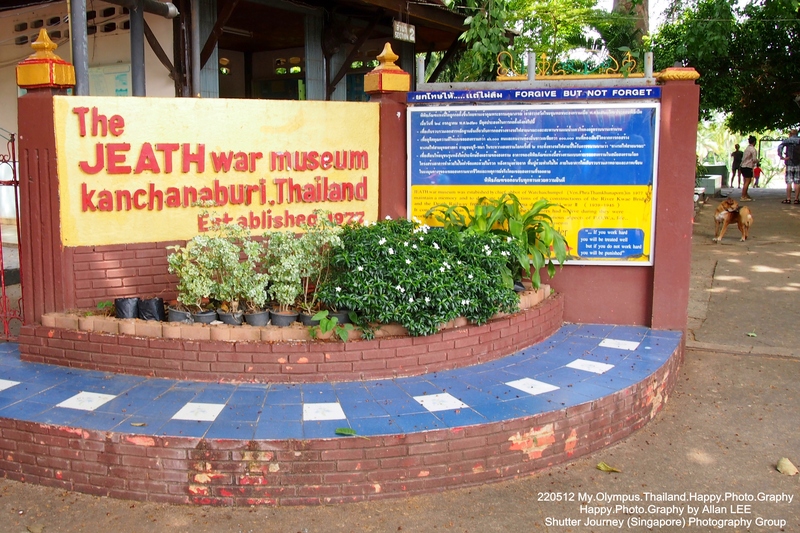 Inside JEATH, the museum reenacted the actual living space of the POW during those times and it showcases the remains of brutality left behind by the war. From Bomb shells to tools used during the war, this is a very solemn place, set up by a temple whose aim is not to stir up conflicts, but a painful reminder of the effects & aftermath of war. 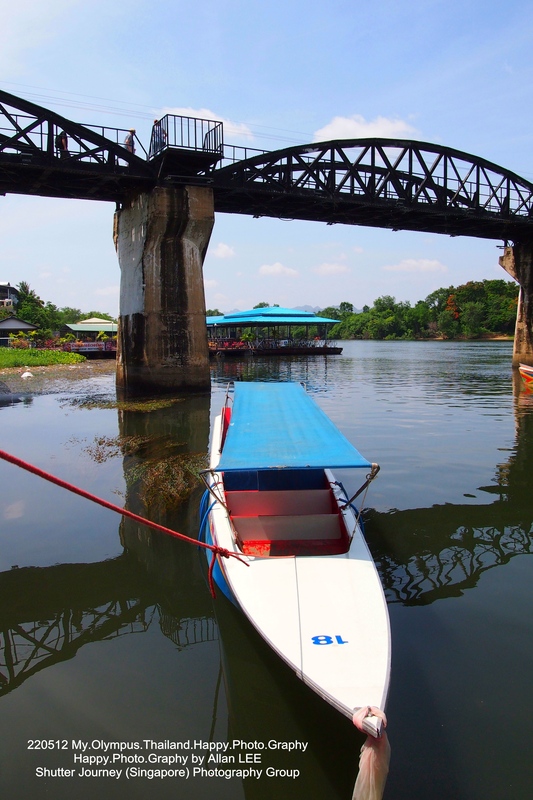 After JEATH, we boarded the motorboat for our river cruise on River Kwai towards the Death Railway. 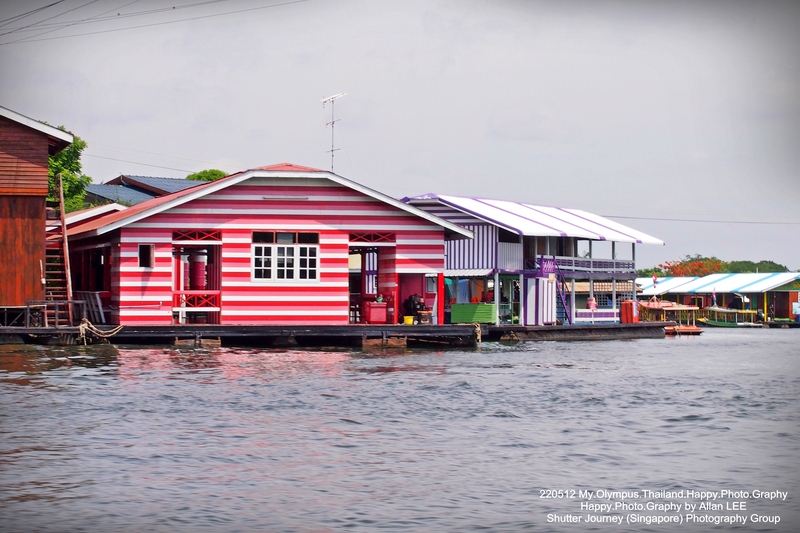 There were lots of water front houses along the river and from what we were told, these houses are mostly owned by the descendants of the POWs that died along this river building the Death Railway. 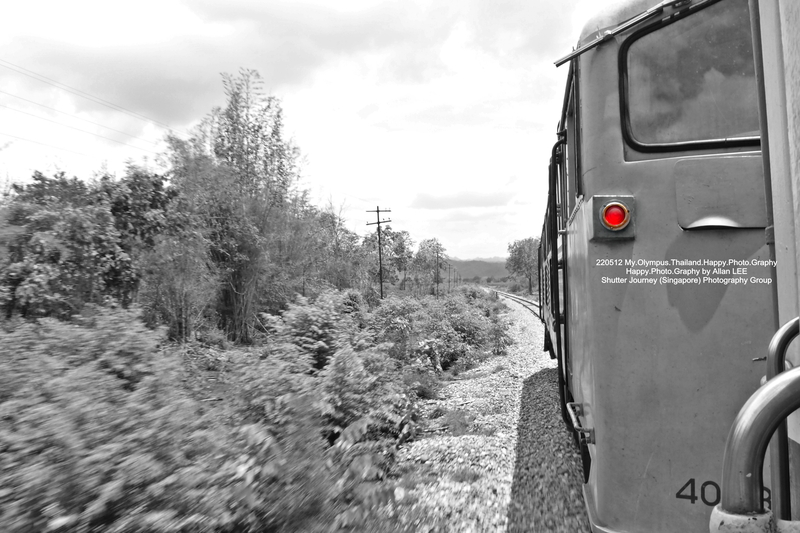 We arrived at the Death Railway after a river cruise of 30 minutes. We were greeted by the Death Railway from afar. So grand, yet so solemn. As we approach nearer, the boat slowed down to quiet down the engine as a respect to the place, and that gave me an opportunity to shoot a few good shots of the railway. After we landed on shore, we walked around to explore the place. The place is somewhat different from my last visit over 10 years ago. There are lots of activities going on from street hawkers to street stalls, touts & tourists (Although not many tourists). 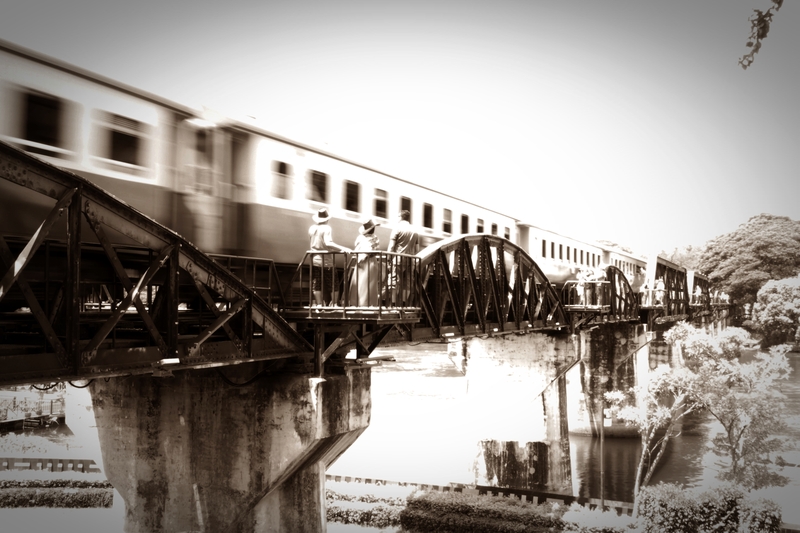 What came as a shock next was the train came, I did not expect the Death Railway is still in use today and it runs on a line through the country managed by the “State Railway of Thailand”. Next on the plan, we want to board on this train! 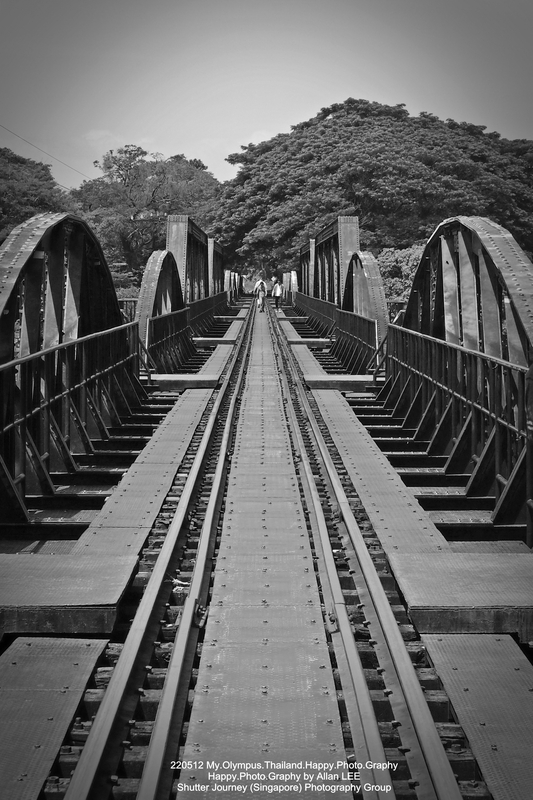 We left Death Railway and headed to the train station about 30 km away at a small town at Thakilen. Here, we waited for the train to pick us up to bring us on another part of the Death Railway. 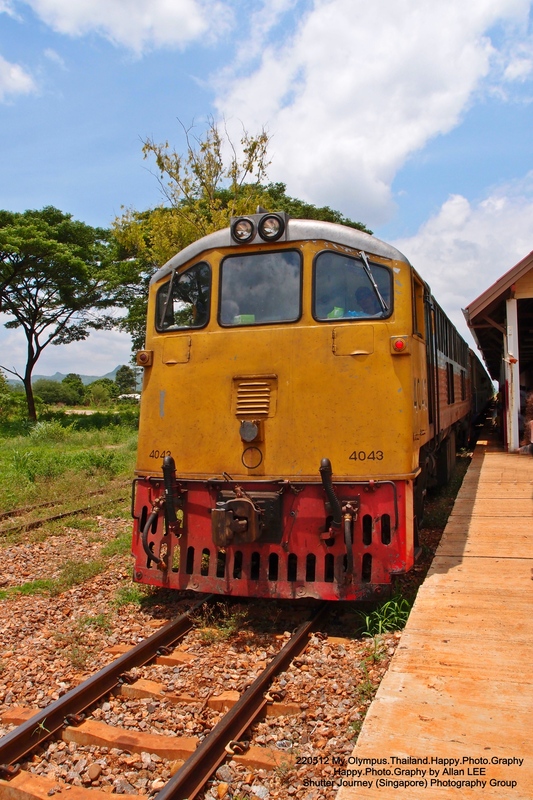 Train came, the same type as the one we saw earlier at the Death Railway over River Kwai. We boarded and started shooting anything that interests us. 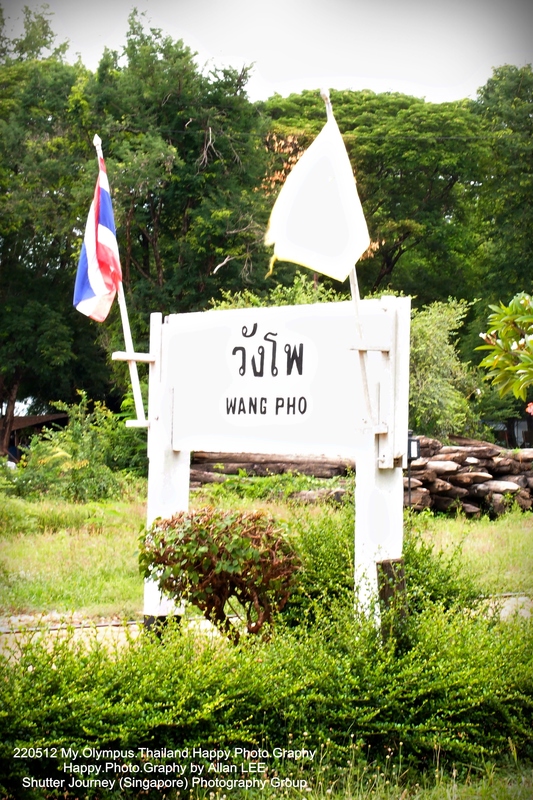 After a 20 minutes ride on the train, we got off at Wang Pho station at Wang Pho – another small village along the rail line. I was told this little village prospered with the rail line over the years. Believe it or not, in the middle of nowhere in a battered and dusty little village, there’s a buffet restaurant here serving up local Thai dishes and western staples. We had a quick lunch & popped over the nearby Kanchanaburi Elephant Camp. 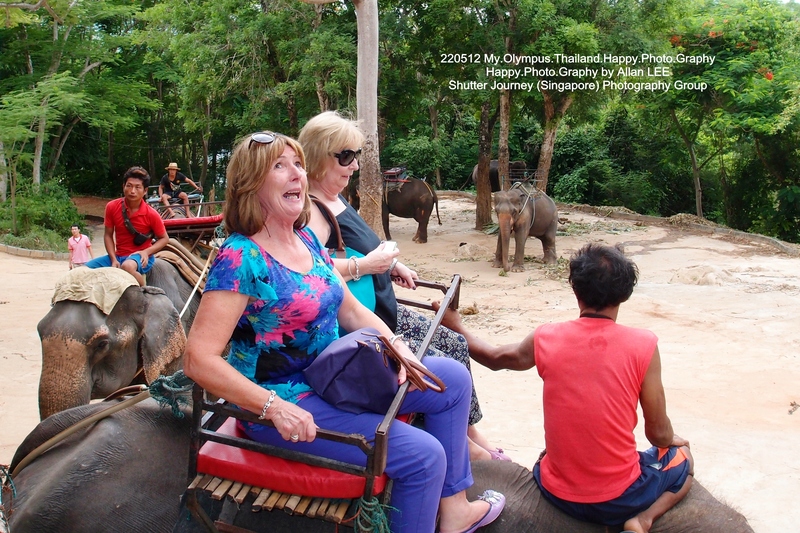 Sick of elephant rides (remember this is my 45th trip to Thailand? 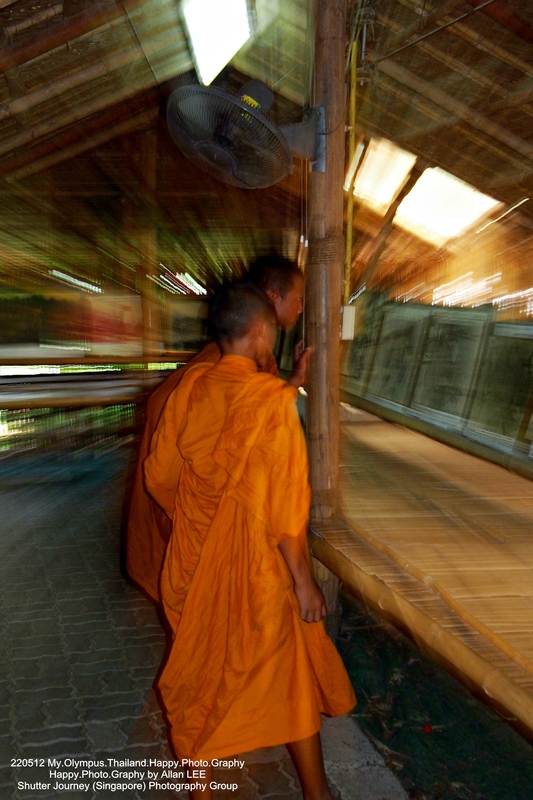 ), I took snapshots of the tourists that were travelling with us and I wander about the camp. 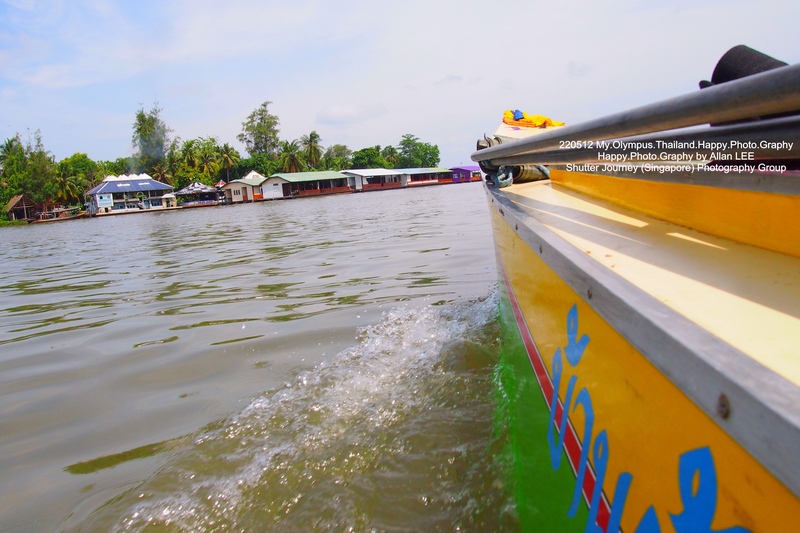 After that, we headed back to Bangkok and ended the day. It had been a ‘heavy day’ for us travelling back in time, to difficult times. Behind-the-Scenes Photography by Tan Yoke Ling. 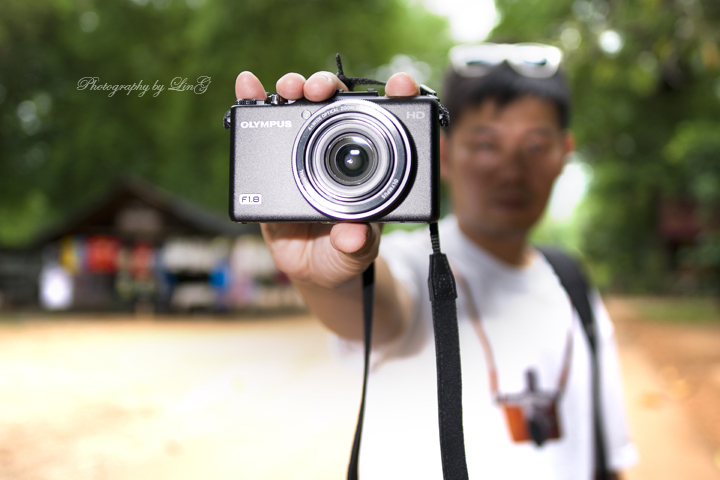 Special Thanks to Olympus Imaging Singapore for making Project “My.Happy.Photo.Graphy.Olympus.Thailand.2012” possible. 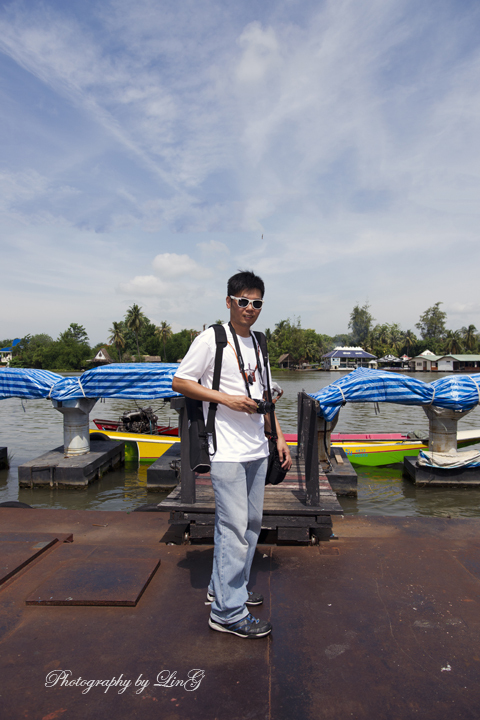 Sponsor: Olympus Imaging Singapore Pte Ltd.
Travel & Review Editor: Allan J Lee. Review Photographer: Allan J Lee. Olympus Imaging Singapore is the unparalleled industry leader in opto-digital technologies, delivering award-winning digital imaging products for the consumer and professional markets in Singapore. Driven by a strong commitment in providing innovative products and solutions of the highest quality, Olympus Imaging Singapore works closely with industry partners, customers and other Olympus business units in producing leading-edge products. These include analogue and digital cameras, professional SLR imaging systems, and voice recorders, amongst others. 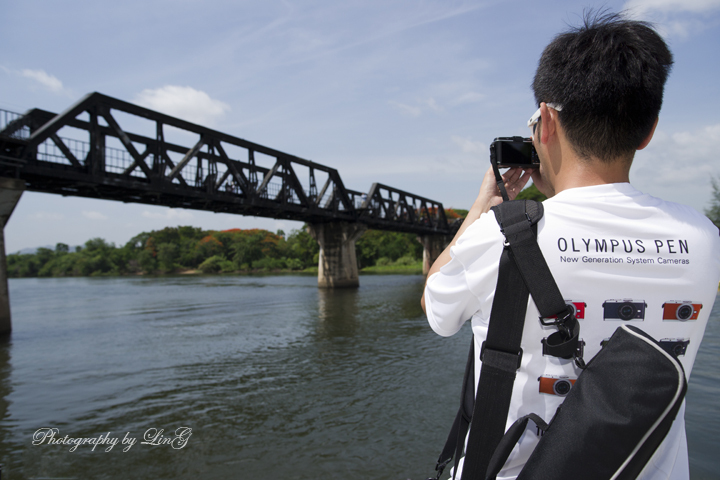 Olympus Imaging Singapore’s unrelenting efforts in superior customer service also bear testimony to its brand promise of delivering the best user experience to all consumers and professional users in the imaging field. 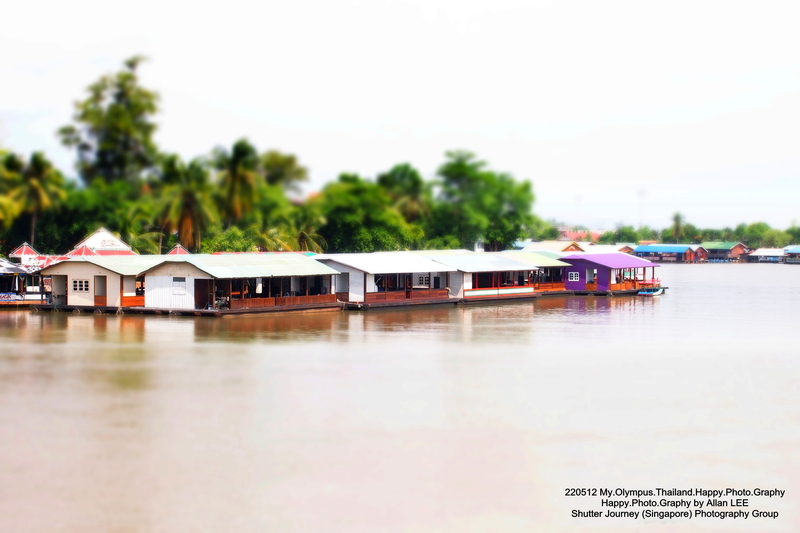 For more information, please visit http://www.olympusimage.com.sg. This entry was posted in Brand: Olympus, Featured Photography Merchants, Photography Articles & Videos, Uncategorized and tagged Gear Review, Micro 4/3, Mirrorless, Olympus. Bookmark the permalink.